The collection and sharing of data is a growing trend in healthcare, and Pathology is no exception. 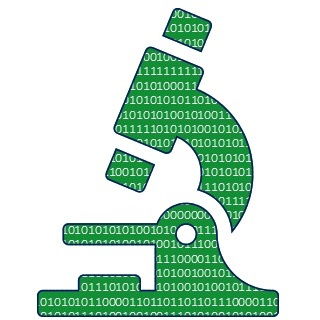 In the face of value-based reimbursement models, clinical Pathology laboratories are already gathering and leveraging huge quantities of data that are standardized across the industry. By collecting, sharing, and analyzing this data, clinical labs are able to demonstrate results and added value by assisting institutions in better population health management. Anatomic Pathology reporting has historically been more narrative, but it can still benefit from structured data collection and distribution. There is already data collection and sharing occurring in cancer research, with the College of American Pathologists' electronic Cancer Checklists and the California Cancer Registry being two examples. While those are the most recognizable instances, the benefits of synoptic reporting and structured data to anatomic Pathology are not confined to cancer reporting or CAP compliance. What are Structured Data and Synoptic Reports? Structured data are a collection of discrete values within a Pathology report, each with its own specification. Think of a database with records and fields (structured data) as opposed to a narrative text document (unstructured data). A report containing structured data can be easily mined by computers for storing, sorting, and analyzing the individual data elements. Synoptic reports are summary reports that are standardized in their format, content, and terminology and appear structured to the human eye. They may or may not contain structured data, and many are a combination of structured inputs and narrative text. The creation of synoptic reports often uses templates with structured fields in the form of drop-downs, pick lists, or check lists as well as some free (unstructured) text fields for the unique points of an individual patient's case. The resulting report is consistent and easily consumable by the referring physician and, increasingly, the patient. What are the Benefits of Synoptic Reporting? Standardization - In its simplest form, a synoptic report presents a summary of pertinent findings in a standardized way that appears structured to the human eye. Consistent reports can be easily consumed by the referring physician and communicated to the patient. Efficiency - Synoptic templates that include structured data in the form of standardized vocabulary, drop-down lists, check lists, etc. make reporting fast and simple on both the gross and diagnostic level. Patient Safety - Standardization and the use of templates reduces the amount of information that must be entered into the report (whether by dictation or typing), reducing the risk of medical or clerical error. What are the Benefits of Structured Data? Database mapping - Because of the way structured data are organized, they can easily be stored in databases to be searched, sorted, and analyzed efficiently across very large data sets. Validation - When data are indexed and discrete, rules can be put in place to validate entry. This can range from simple value format validation to more complex rules that analyze part or all of a report. Random access - Structure provides a robust basis for retrieving or setting any value in any order, making it easy to answer questions such as: How many parts were in that gross section? What was the weight and fixation of the second one? Sharing - Structuring information into consistent, discrete points allows data to be more easily mined and shared than it would be to extract the same content from an unstructured document. While anatomic Pathology reporting has historically been more narrative, there is a shift already occurring toward more standardized reporting. Synoptic reports allow referring physicians to clearly and quickly recognize findings and communicate them to their patients, and the use of templates improves efficiency and patient safety. Structured data can be stored, sorted, analyzed, and shared. Breakthroughs in data analytics make it easier than ever to study trends, identify patterns, and measure results. If you have any questions, please feel free to contact us or leave a comment in the field below.